The Chain wrench is a durable, long-lasting wrench used for all types of pipe fitting jobs from oil field to general work. 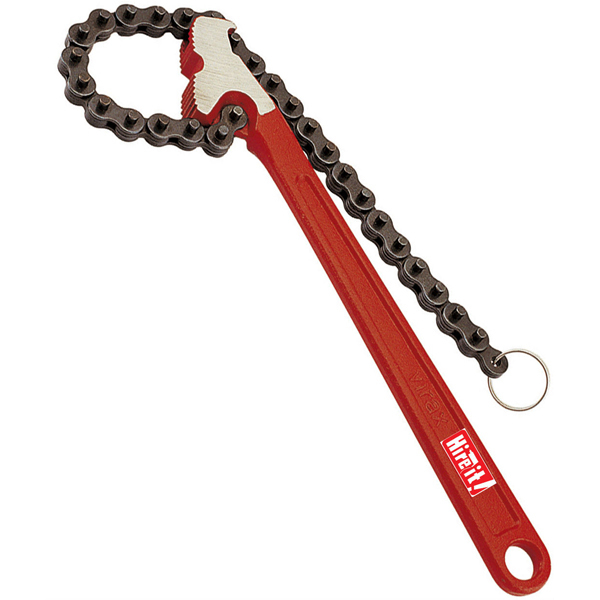 The Chain wrench consists of solid, full-length handles of forged steel and strong, flat link chains. Hardened steel jaws are replaceable and interchangeable. All models feature double-end jaw styles which can be reversed.